LAST CHANCE For The Sandals & Beaches Resorts SUPER CYBER SALE!! 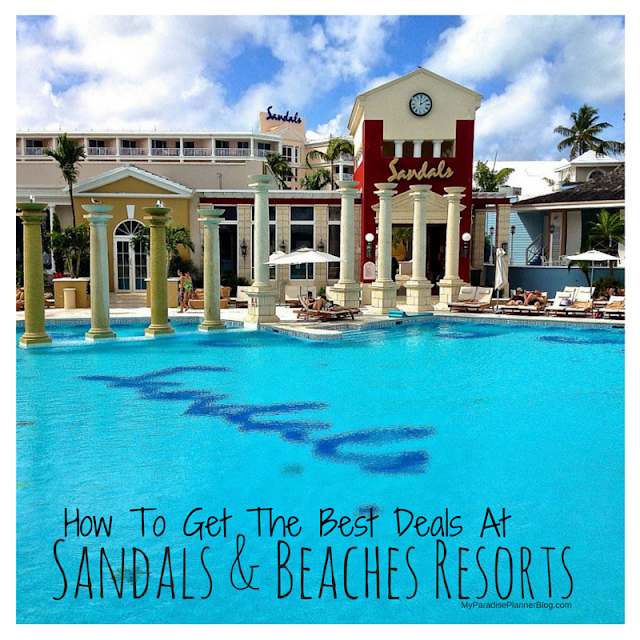 Sandals and Beaches have announced an amazing CYBER MONDAY deal that I am sharing with you today. Anyone who has been considering a stay at Sandals or Beaches resorts should lock this in!! I can place a complimentary hold on any rooms for up to 7 days locking in the $300 discount without a room deposit payment for a week. This is also combinable with your Sandals Select Return Guests reward points-- if you are a past guest and need more information about this free rewards program, let me know. It is also combinable with all other promotions currently going on (65% off, free nights, complimentary couple's massages/tours, etc). Don't miss this HUGE sale with Sandals and Beaches Resorts!! Description: Save $300 per room during this Cyber Monday Sale with the Promo code CYBER13. This offer is for NEW bookings only, per room, and based on double occupancy with a minimum 6-paid nights booked within the Cyber Monday sale period. The Cyber Monday sale period begins at midnight (12am EST) on Sunday, December 1, 2013 and ends promptly at 11:59 pm. EST on Monday, December 2, 2013. *Offer is applicable at any Sandals or Beaches Resort in any room category. The Cyber Monday Sale does not apply to Grand Pineapple Resorts. Room categories and dates are subject to availability at the time of booking. Standard blackout dates do not apply. Offer is combinable with all other consumer savings promotions available within the Cyber Monday sale period. Group bookings may be subject to space availability. Offer may be changed or withdrawn at any time. Restrictions may apply. Contact me for more information or to book! By booking directly with me it will cost you nothing extra, but I will then be assigned as your Sandals Specialist on file with your booking-- meaning anything you need before, during or after your trip you'd just contact me via email, phone, text, etc. for help as opposed to calling Sandals/Beaches directly and getting a different reservation agent on the phone each time.